It’s Christmastime at the Hall home! 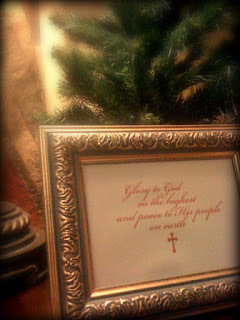 I love decorating for the holidays, but especially Christmas. All the twinkling lights and sparkling baubles! I also love peeking at other people's holiday home décor, and stealing ideas being inspired by their creativity. Some of my favorites this year are Lisa Leonard @ (in)courage , Lattes and Life, and One Crafty Muma and We Are THAT Family both alway have neat, simple and inexpensive DIY home decorating ideas. 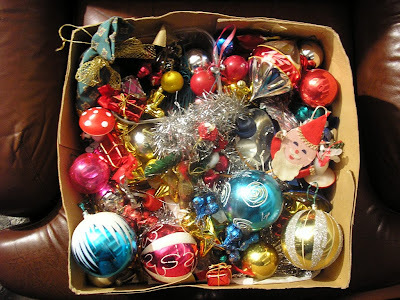 I can't wait to see what the oh-so-talented Lisa @ Moore Minutes does to Christmasfy her home. I simply replaced candles with ornaments on candleholders here. 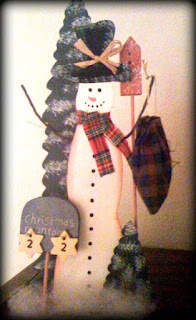 This adorable Snowman is in charge of the countdown. See his little bag? That’s where he keeps all the numbers for me to change out daily. Don’t these Nutcrackers look mischievous on my mantle? 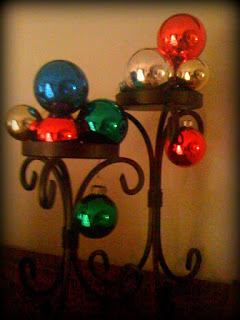 @jesssmith helped me figure out how to Christmas-up this candle trio. on Twitter. I love this. I got it this year, a fabulous find at Hallmark store closing sale for, you’ll never believe this, $4. Is it Christmastime at your house? How does your home dress for the holiday?